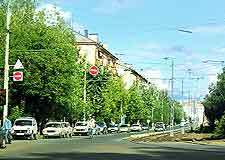 The shopping in Tomsk is quite reasonable and if you are simply looking for gift ideas and souvenirs, then the Metallurgov Street should be your first port of call. There are a number of interesting stores located along the Metallurgov, including craft shops selling traditional Russian handicrafts, such as wooden dolls and hand-painted boxes. 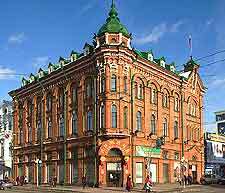 There are also plenty of shopping opportunities to be found along the Prospekt Lenina, in central Tomsk. The main shops here are interspersed with banks, cafes and restaurants, so if you want a quite bite to eat and a place to sit down with a coffee, you won't have far to look. The shopping scene in Tomsk is most definitely on the up and the city continues to attract many big names and stores, with one of the latest arrivals being the Swedish furniture giant, Ikea. 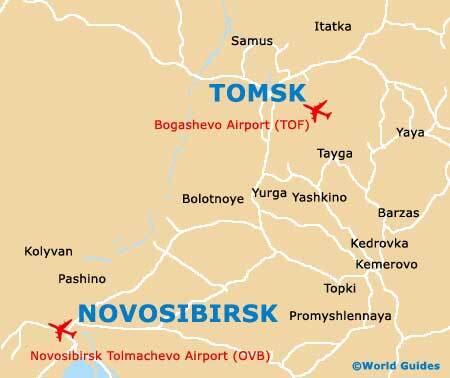 Most shops in Tomsk tends to open between the hours of 09:00 and 17:30 or 18:00 from Monday to Saturday, with only a handful opening on Sundays. Many of the smaller shops regularly choose to take a lunch break and often close for an hour anywhere between 13:00 or 14:00.